Here you can download a brochure for Commercial Avionics Business. 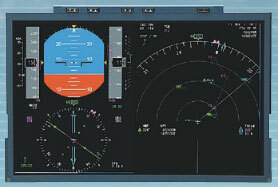 Yokogawa developed the “Flight Deck LCD Display” with THALES AVIONICS, the leading company in Europe in the avionics industry, and has been delivering since 2002, also equipped on the latest AIRBUS’ aircraft A350 XWB. These products use Yokogawa’s cultivated technologies to provide the high reliability and high quality display.